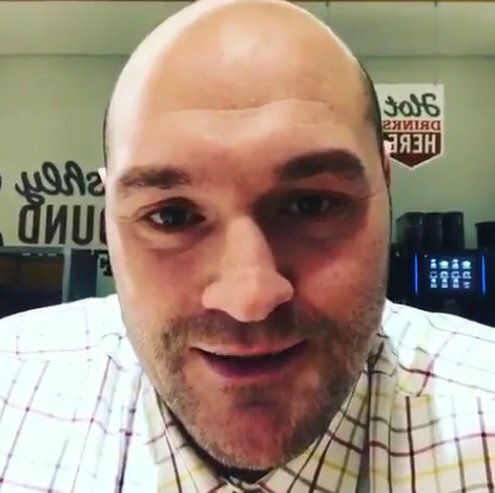 Tyson Fury has wasted zero time in calling out Tony Bellew. In light of how the December 17 return bout between “Bomber” Bellew and David Haye has been called off due to (yet another) injury suffered by Haye (it’s his arm, actually his bicep, this time for those fans who are keeping tab of the body parts Haye has suffered injury to during his amateur and pro career), Fury has offered his considerable services for the new date that is being worked on: May 5. As to whether or not Bellew will react to, or even read this challenge, well, your guess is as good as mine. And then there is the small matter of whether or not the fight would be sanctioned by The BBB of C. Still, from a curiosity angle, Fury Vs. Bellew would very likely pack ’em in in the UK if it did happen. Could Bellew, a former light-heavyweight world title challenger and a former WBC cruiserweight champ, keep his incredible run going by beating a monster heavyweight in Fury? Bellew has shocked his opponents and the odds before, but surely this would be one big step too far? Then again, how fit will Fury be and how much will he have in the tank in his proposed ring return? In some ways, Fury-Bellew would be more attractive a match-up than Bellew-Haye II.